Is Lisa McInnes-Smith a motivational speaker? No! Does Lisa McInnes-Smith motivate her every audience? Decidedly, Yes! Lisa’s background is Sport Psychology. She is an expert at Raising Performance, and this is the overarching theme of all her presentations. She is passionate and provocative and a master of shifting behaviour. 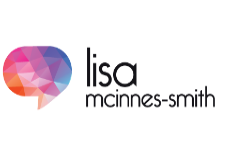 After twenty-five years connecting with corporations and business people, Lisa knows what it takes for people to change—to change direction, change attitude, change behaviour and change outcomes. Has presented to 2 million people across 26 countries – so far! Is the first person outside North America to be inducted into the international Speaker Hall of Fame. Best selling author – just the 7 books so far, plus a few compilations. Started her speaking career by setting (and achieving!) a goal to positively influence 1 million Aussie teenagers. Lisa knows that how people learn is a key component in the rate of their progress. Her fast-paced keynote presentations take her audience on a journey; a participative experience where they are challenged to try a different way of thinking and influencing. She inspires people to grow. Your guarantee: a thrilled audience, a successful presentation, completed to your brief.